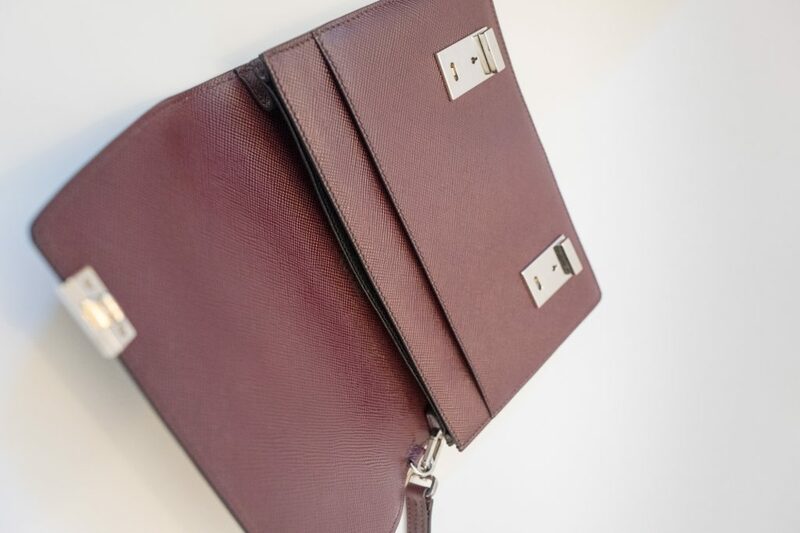 Measuring 10 inches wide and 6.8 inches tall it is a great size, your focus is of course on the hardwearing saffiano leather and metal buckles. 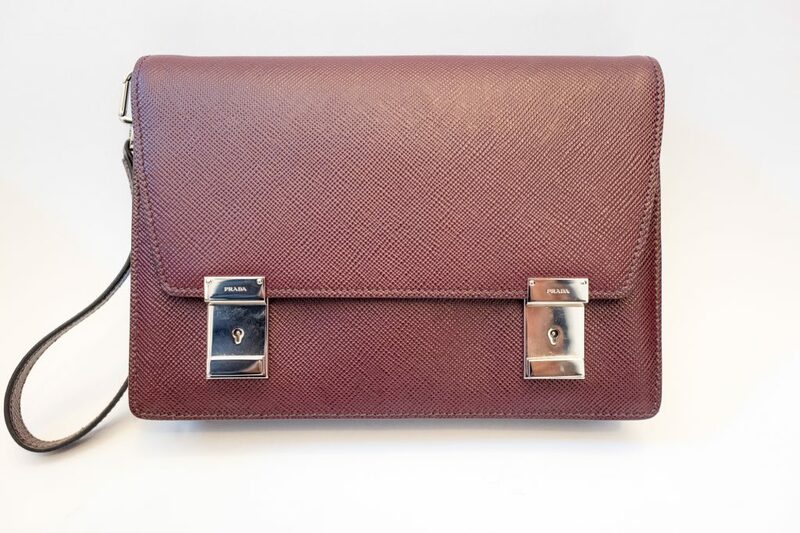 It has a saffiano strap handle on one side for holding, I have also placed Edward the Prada robot on the strap, he is the perfect size for this bag. 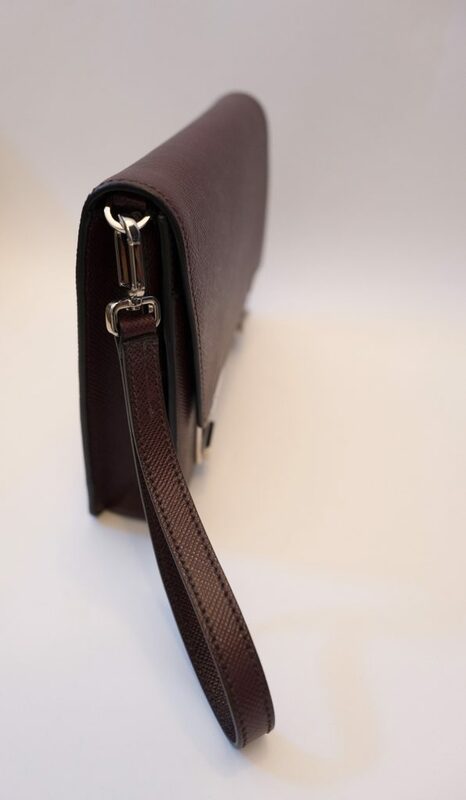 The back of the bag is pure saffiano leather, it has simple stitching around the edges giving it a classic look. 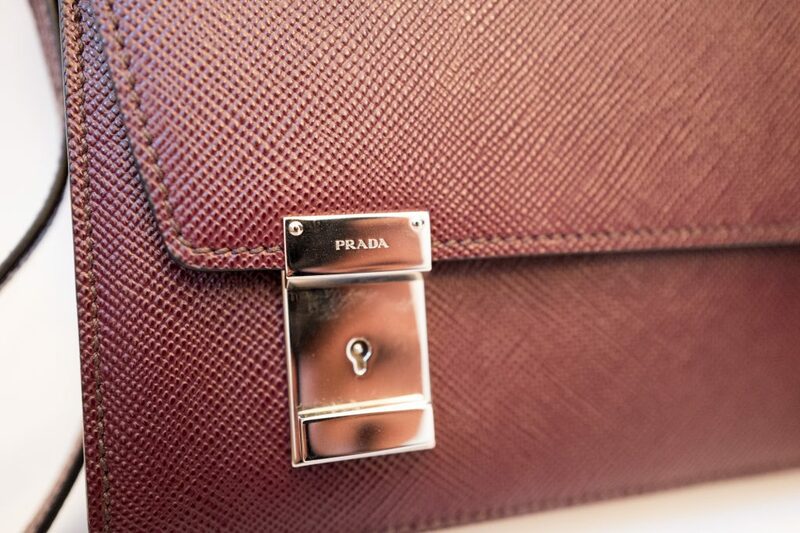 Take a closer look at the metal hardware you see the Prada logo on each buckle. 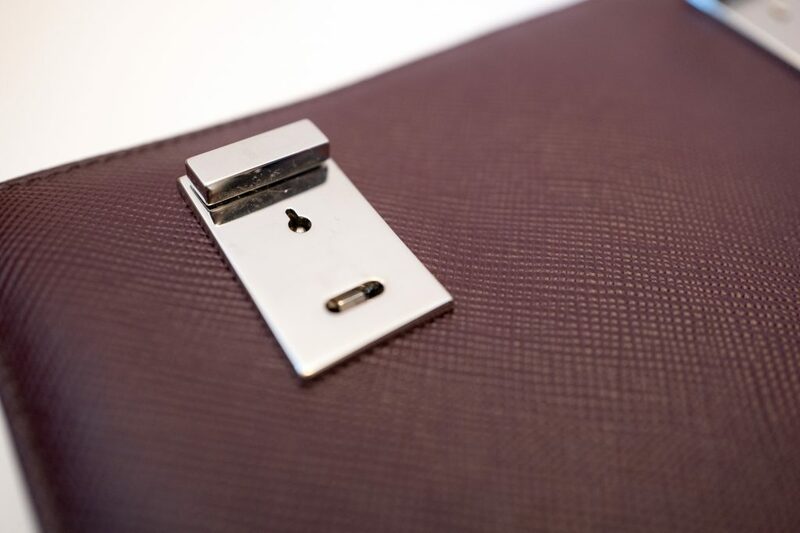 Looking at the buckle open, you have double push-lock clasp with a very cute key to lock the bag if you choose. 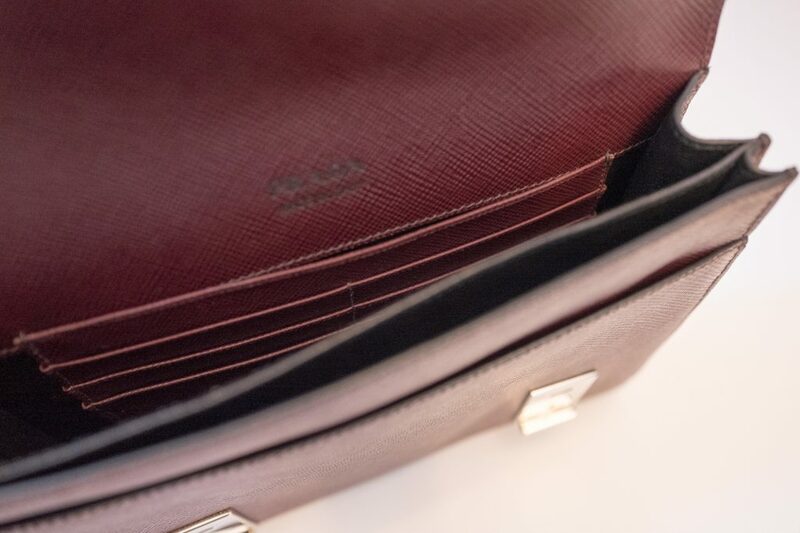 Opening the bag up reveals a front pocket and a larger main compartment. 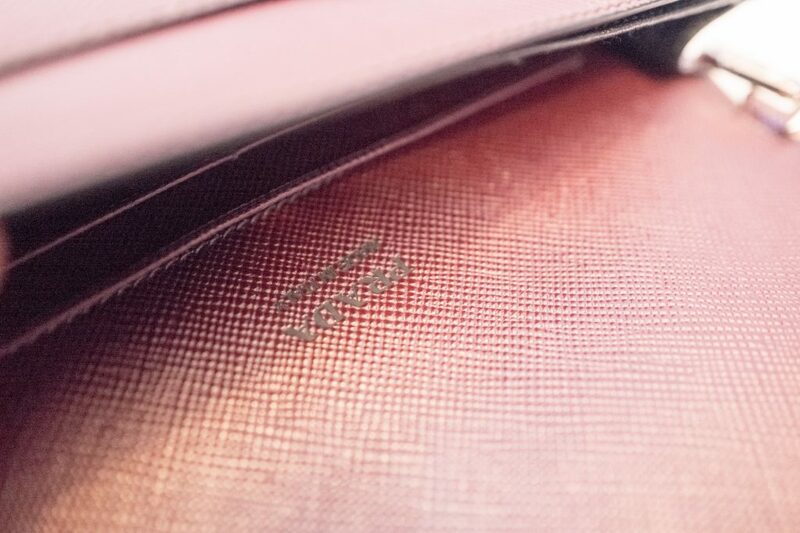 On the inside of the main flap you have a heat embossed Prada logo. 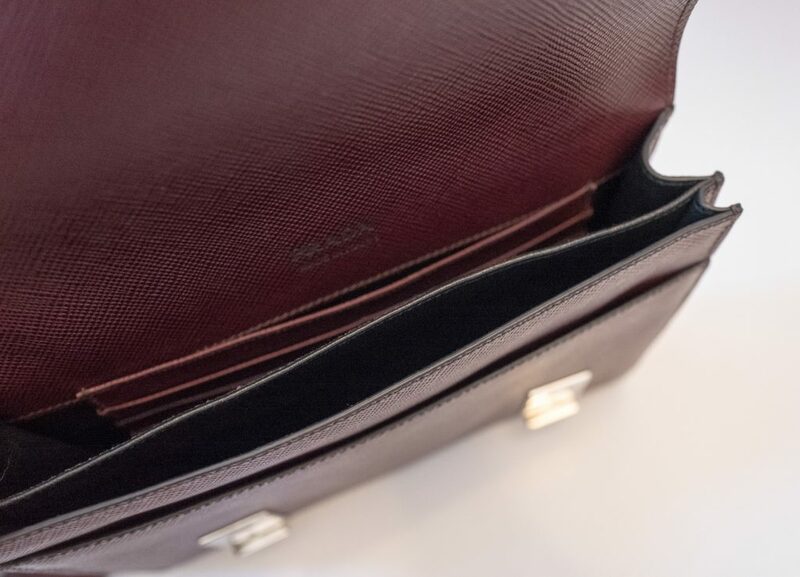 The bag is also lined in saffiano leather, in the main compartment are 6 credit card slots if you choose to use it has more of a wallet bag. 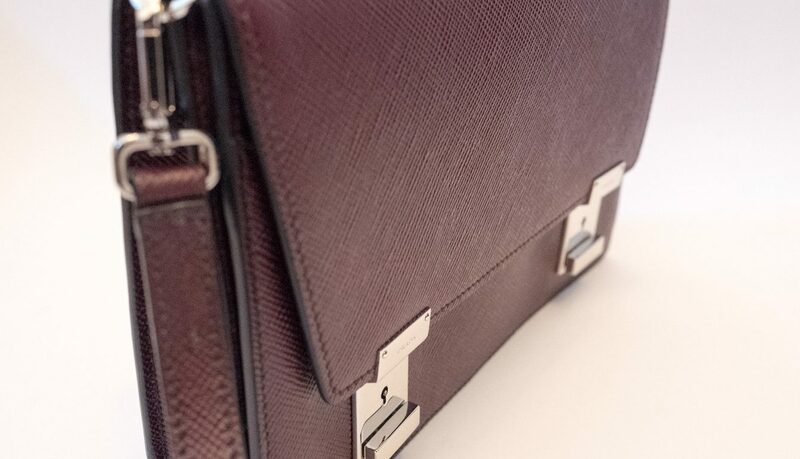 The main compartment is split into two, the front slot is ideal for storing a iPad mini, it is the perfect fit. The bigger compartment at the back with the credit card slots is a ideal fit for a iPhone X, headphones wallet, card holder and key holder. 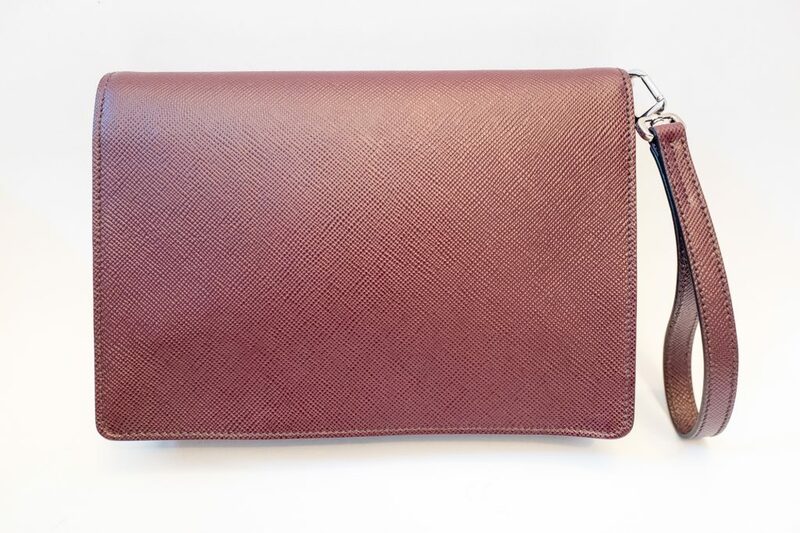 With your iPad in the front pocket this is the ideal bag to take out with all your essentials. 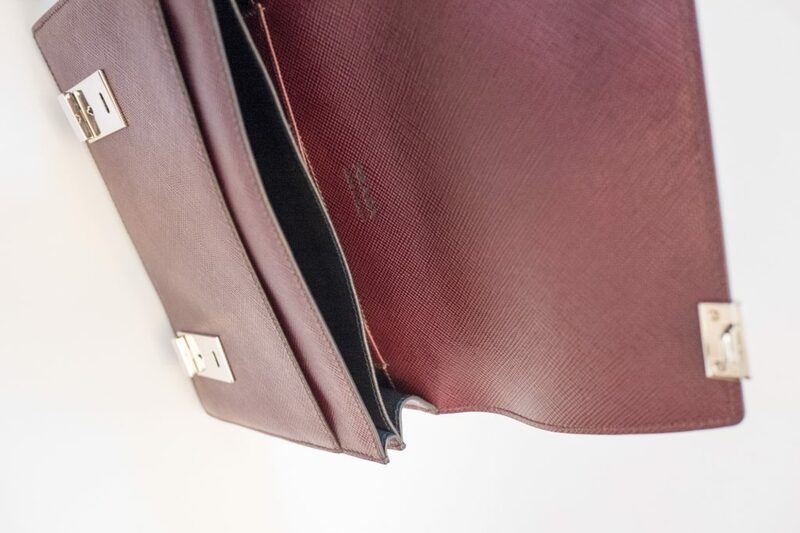 To conclude this is a lovely example of a mens clutch-folio bag, it can hold all your essentials, it is very well made, it has a classic design that will look great in 20 years time, this is the ideal investment piece. You can also purchase it in black or grey but for me I really liked the garent as it is something different, currently retailing for £1480.